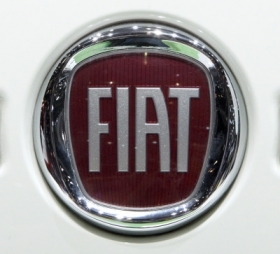 TURIN – Fiat S.p.A. aims to keep its environmental lead in Europe by selling what it claims to be the world's most fuel-efficient gasoline engine. Fiat's lead is under attack as automakers strive to boost the fuel economy of their cars and lower emissions of CO2, which is linked to climate change, ahead of tougher government environmental regulations and a big swing in consumer demand toward fuel-sipping vehicles. “We have no intention of relinquishing our crown of Europe's greenest automaker and the TwinAir engine will have a crucial role in maintaining our lead,” Alfredo Altavilla, Fiat vice president for business development, told Automotive News Europe at a press event here to unveil the engine. Fiat says a 500 minicar with the engine and an automated manual transmission has CO2 emissions of 92 grams per kilometer and uses 4.1 liters of gasoline per 100km (69 UK mpg; 57.4 U.S. mpg ). A version with a five-speed manual transmission has CO2 emissions of 95 g/km and uses 4.2 l/100km (67 UK mpg; 56 U.S. mpg). Prices for the 85-hp 500 TwinAir will start at 13,250 euros ($16,755) in Italy, 400 euros below a 500 with a 1.4-liter engine. The engine will be also offered as 65-hp normally aspirated as well as a more powerful 115-hp turbocharged versions and will be progressively extended to other Fiat and Lancia mini- and subcompact cars, beginning next year with the Lancia Ypsilon and Fiat Panda replacements. 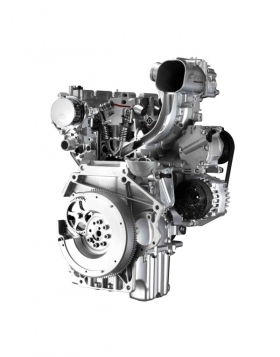 Altavilla said a mild-hybrid system based on Fiat's TwinAir engine coupled with a new dual clutch transmission will further reduce CO2 emissions to below 80g/km. 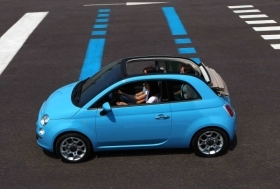 Prices for the Fiat 500 TwinAir will start at 13,250 euros ($16,755) in Italy. The TwinAir engine will be manufactured in Poland in Bielsko-Biala, about 350km south of Warsaw. Installed capacity for 450,000 engines a year. In terms of capacity, the TwinAir is the smallest gasoline engine available in Europe. Mercedes Benz unit Smart's ForTwo minicar offers Europe's lowest-displacement engine, a 45-hp, 799cc three-cylinder diesel. Average CO2 emissions for Fiat's new-car fleet were 127.8 g/km in 2009, the lowest among all carmakers that sell cars in Europe, according to Jato Dynamics market researchers. Fiat has capacity to build 450,000 units of the TwinAir, shown. Toyota was close behind after reducing its fleet average to 130.1 g/km last year from 144.9 g/km in 2008. Toyota wants to become Europe's greenest automaker, Willy Tomboy, Toyota's head of environmental affairs in Europe, told Automotive News Europe last month at the launch of the Auris hybrid, a hybrid smaller than the Prius that will be sold only in Europe.